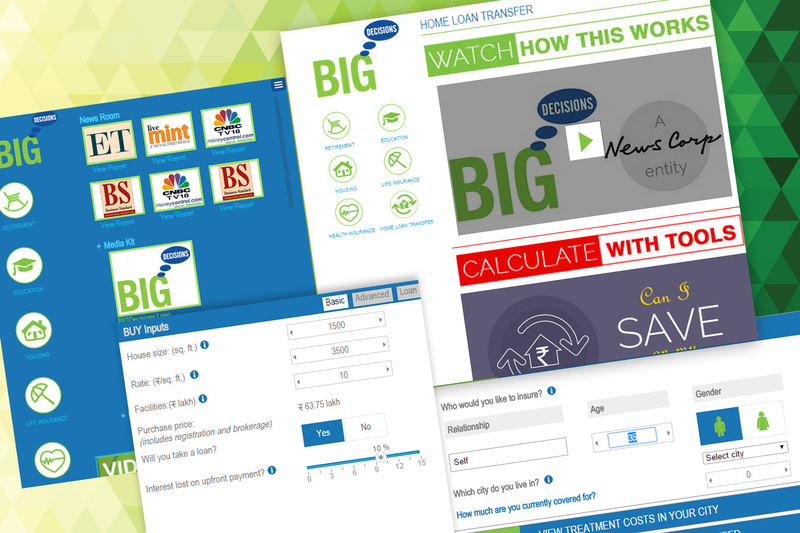 The client BigDecisions, was passionate about bringing in robust financial tools for the web site. The whole idea of the web site development revolved around the smarter options offered to the consumers for long term financial investments. Thus the development involved complex mathematical calculations and giving quick solutions as per the individual inputs. The project had various sections and every section was individually demanding a challenging work. The most importantly the website is highly interactive and gives results instantaneously based on the user’s inputs without long wait of submitting the form and waiting thereby for processing the results. The team worked meticulously to carry out the process successfully. Various milestones were set for every single module so that time-lines of project are easily met. There were long sessions spent in interaction with the client for discussion just to assure that project is moving in right direction. This helped development team to remain focused as the modules developed. Finally the project evolved into the online source for consumers who want to make long term investment decisions. 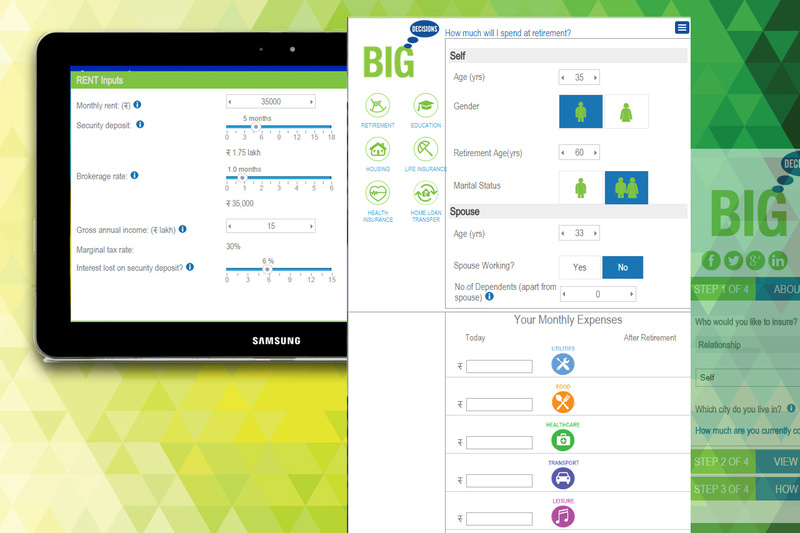 – BigDecisions for consumers to depend upon!! The web site evolved as one stop solution for the consumer to check financial solutions which are tailor made and customized to the individual economic status. 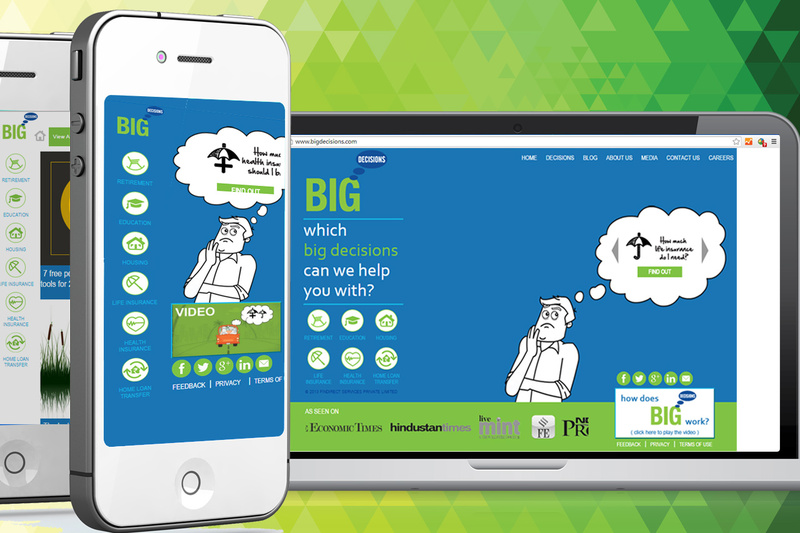 The web site performance was further proved, as many of the major corporate insurance companies, started utilizing the tools developed within BigDecisions for their own benefit. The most significant outcome was observed when Rupert Murdoch’s News Corp acquired BigDecisions to make a mark in the rising graph of digital India.